Want to hear some good news? Your chances of success are better than most people think. According to the Bureau of Labor Statistics, the survival rates of all new businesses started between 1998 and 2002 find that 66% of them are still open two years after they started.A Cornell University study of restaurants in three major markets showed a first year failure (or closure) rate of 27% with only a minor (4%) difference between franchised and independent restaurants.Regardless of how you crunch the statistics, and I might add that quality statistics for the restaurant industry are hard to find, approximately 30% of all new, first year restaurants go out of business on the average. This means you have a 70% chance of first year success if you have a viable, well thought out concept in a worthwhile location. It is important to note that of the 30% of restaurants that close during their first year, most of those operators were under-educated, under capitalized (most common reason), or were not willing to make the time commitments necessary to get the job done.Why am I concentrating on the first year aspects of survival? Because statistics and logic both say that if you make it past your first year, the percentages are in your favor beyond year one. How can you minimize the risk in your first year?.These Top Tips listed below will aid in insuring your survival:.Tip #1. Know your market. The easiest and fastest way is to get a Feasibility Study done! I know of a restaurateur who was looking at placing a Mexican restaurant into a major metro area. His Feasibility Study revealed that a quickly expanding localized chain was inevitably going to greatly diminish his potential success, so he changed his concept, thereby avoiding an expensive potential failure. You too can avoid major failure by knowing your market, and concentrating strongly on your biggest competitor. If you can't or don't want to fight for market share, reconsider your concept niche or location.Tip #2. Find your niche. We have all heard this before, but you can't be everything to everyone, and do it well. Select the market you enjoy and have experience in. If you know everything about the burrito business, and know for a fact that your burritos are superior in quality, then chase down that great location, know your market, and fill that niche. It's important to minimize the competition in your chosen niche, and done right, you can own the entire niche market. Why compete when you can own the market?.Tip #3. Don't shoot in the dark with your capital resources. Pay for a quality business plan, and have a qualified restaurant consultant do it. You pay for legal and accounting advice because they're professionals in their industry. Same thing with your Restaurant Consultant. A business plan is not cheap, but it will guide you on the path to growing your business profitably, and you'll find that your business plan will quickly pay for itself. Know the industry, or pay for the knowledge. Just a few pieces of quality advice at the right time can save you thousands of dollars. Did you know that if your Restaurant Consultant negotiates your pricing with your foodservice vendors, you'd get better pricing than if you had negotiated the prices yourself? The author of this article was Director of Business Development with a large foodservice distributor, and is able to lower your food cost significantly by representing your interests with your vendors.Tip #5. Your menu is your number one tool in insuring a profitable operation. By costing out each menu item and placing it in the correct menu location, you can bring more dollars to the bottom line. Operators are so concerned with food cost percentages, but fact of the matter is that you take dollars and not percentages to the bank. It costs a little bit, but your reward is great when you have your menu professionally designed. Regardless of the size of your operation, you can't afford not to have your menu evaluated. Why miss out on lost profits?.Tip #6. The menu controls everything. From what you serve, to what equipment you need, to your signage design and concept name--everything revolves around the menu. What are you serving, and what is your position in the market? If you don't know, get help immediately.Tip #7. Build your team. You need a few good players on your team, and the team members are as follows: An attorney with restaurant experience, an accountant with a list of restaurant clients, a banker that understands the restaurant industry, and Restaurant Consultant that understands startup ventures. When interviewing your Restaurant Consultant, know in advance that there is only one proper way to figure your food and beverage cost percentages. If you are told that you take your total costs and divide that number by your sales, you are getting inferior advice?keep looking. May I humbly suggest our services? If you would like to know the correct formula for computing food and beverage costs, please contact the author of this article, Kevin Moll, at 1-800-961-6005 for some insights.Tip #8. Cover your business bases. This includes: Insurance, corporate formation, business registration, company structure, funding, design, architecture, location, building codes, health department regulations, permits, and others. These will all have to be factored into your plans for opening and staying open!.Tip #9. Understand your marketing and have a plan. You may, "Own a niche", you may serve the highest quality products, and you may be the best in your market. But if nobody knows where you are located or what you offer, how will you pay the bills? A big part of the business plan is a high quality marketing plan. Has this convinced you to consider having a business plan done?.Tip #10. Until you are open, you will be faced with many obstacles that may be new to you. Use your team, stay focused on the goal of not only getting or staying open, but excelling in your brand management, delivery of product, and above all, listen to your advisors. As they have nothing to loose by telling you the unvarnished truth, they're in your court more than you know!. **************************************************************.There are many more free tips on our web-site at www. Need assistance with your startup? Contact Mr. Moll below:.Kevin Moll, President. Restaurant Consultants, Inc.875 S. Colorado Blvd. Suite 684, Denver, CO 80246. .Kevin Moll is the President of Denver-based Restaurant Consultants, Inc. 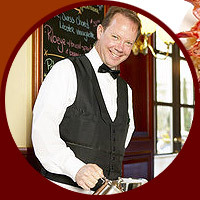 Published author with over 30 years in the restaurant business; his firm specializes in restaurant startups and troubleshooting, both domestically and internationally.